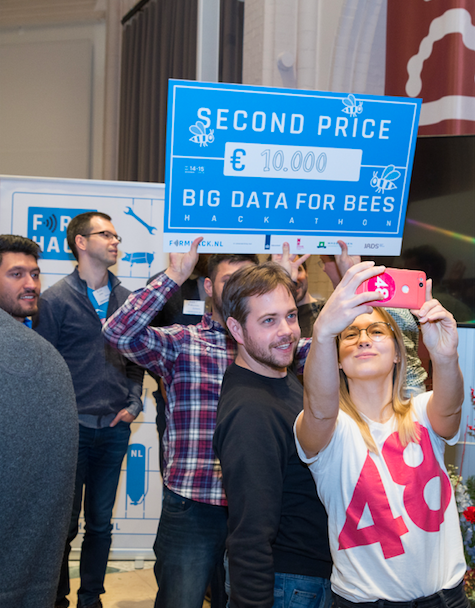 On the 14th and 15th of December we ran the Big Data for Bees hackathon. 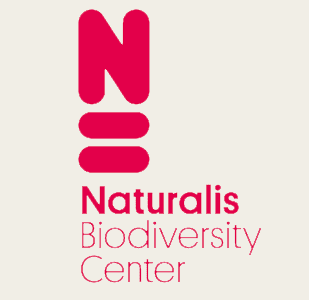 A big thank you to the Ministry of Agriculture, Nature and Food Quality for making the hackathon possible and our event partners: Naturalis, WUR and the Jheronimus Academy of Data Science. Together we managed to finish 2019 with a bang: 7 nationalities, 6 teams, a Minister of Agriculture, amazing prize money and a bear that really likes his honey. Here is the recap! 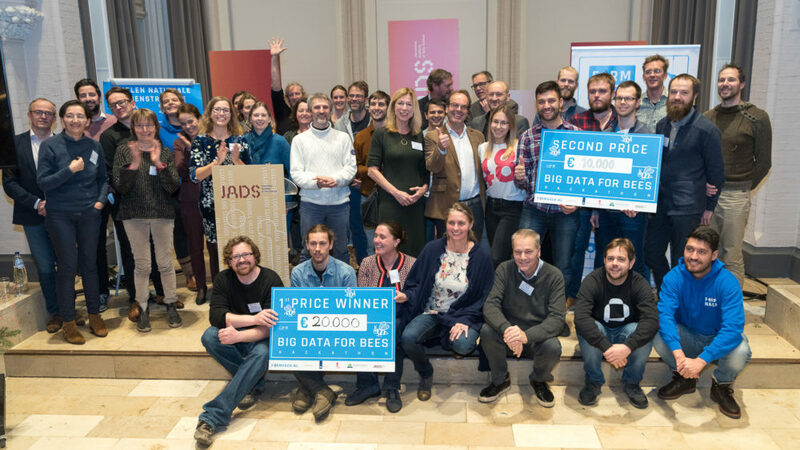 The underlying goal of the hackathon, which was part of the Dutch Pollinator Strategy, was to support open access policies around biodiversity data. As science is converting data, knowledge and models into the public domain, hackers can help develop and test this common knowledge infrastructure and support the open access movement by building working prototypes on top of interesting use cases. Decision Support for Beekeepers challenge: What are the relevant relationships between hyve locations and environmental factors, and how can they be translated into a tool that supports beekeepers? Bumblebee observations & flower image challenge: to discover unknown relations within a dataset that contained 18,000 observations of bumblebees, or with other datasets. Green Infrastructure Challenge: This challenge focuses on contractors, builders, infrastructural companies and local governments and a decision support tool to support bee-friendly green infrastructure and public spaces. Serious Gaming Challenge: design a serious game to empower the many initiatives that want to do ‘something’ for bees, but lack practical knowledge about soil-plant-bee-relations and bee friendly management. 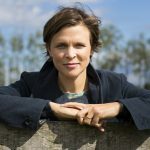 Farming for Nature challenge: building on top of an existing initiative to build a dashboard to engage farmers in monitoring biodiversity, the challenge now is to deliver a building block around wild pollinators. Joined winners were the team ‘Happy Bee, happy me’ that worked on a serious game targeting a primary school children and teach and challenge them on bed and breakfast requirements of local bee species. 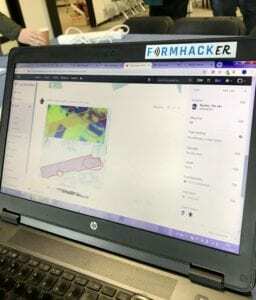 They are joining forces with team Hommeles, that showcased some strong data analysis skills at the hackathon, and can develop the citizen science data-driven technology to collect photographs and do the identification of bee and flower species and ecological links that provide new scientific insights. These teams will receive 20.000 euro to develop a prototype. The second prize went to an Estonian-Dutch team working on decision support for beekeepers. They managed to build a working prototype, they used additional data such as the Food4Bees indexkaart and the Apiary Map and they shared their code on Github. A proper hackathon dream team 😉 In addition to 10.000 euro prize money, Food4Bees pledged additional development support. We have high expectations for this collaboration, plans to visit Estonian hive locations have already been made! Want to know more? 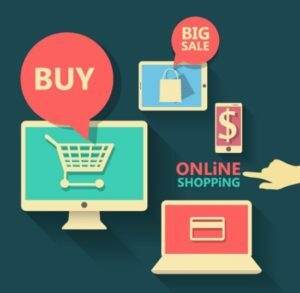 Check out this Garage48 blogpost! Bee Support (“Sustainability through Green Infrastructure”). They focused on building authorities and companies that are looking for location-appropriate bee-supportive advice. They built a prototype viewer that gives details on local bee populations and plant species, and gives advice on what type of plant species to use as part of infrastructural plans. 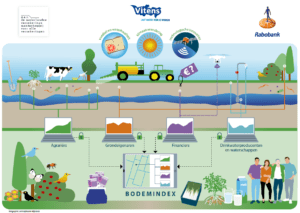 Farming for Nature: The team, with experts from WUR, KNMI, RVO, FarmHack and SAS, designed and built a “pollinator module” for a farmer-driven biodiversity monitoring & performance tool (the Biodiversity Monitor for Dairy). The module integrates data on ‘land use’ and ‘occurrence of pollinator species’ into a baseline score for pollinator hospitality which is farm specific. 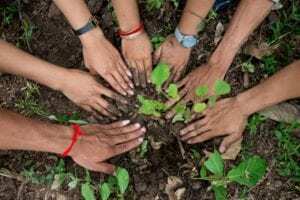 Plans are made for a dashboard for farmers to present data and engage farmers in monitoring activities (with which parties involved can follow up on earlier Rewarding Nature results. We look back at an amazing event, with many dedicated bee loving people. The coming months we will work hard to process the outcomes and make sure they contribute to the Pollinator Strategy. A big shout out also to the Ministry, who not only have provided in the early stage investment money but also showed strong commitment by positioning themselves as the first client of the winning teams. One of the takeaways for us as FarmHack is that on the one hand we celebrate the fact that we are getting better in mobilising funds and business support for teams. 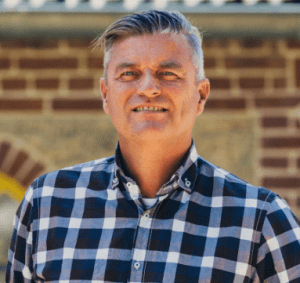 In addition to proper prize money, there are also plans for a follow up event at Rabobank HeadQuarters, that will also include the possibility to pitch to Rockstart, who are offering a fast track into their AgriFood program. On the other hand, we do not exclusively attract startups. We run interdisciplinary hackathons, with valuable collaboration between tech and non tech participants. Often the more ground breaking ideas come from complex interdisciplinary teams. These types of teams however do struggle to move forward effectively after the hackathon, as they lack full time capacity. As FarmHack we want to support these complex interdisciplinary teams too.